Spa guests receiving a 50-minute or longer spa treatment receive a complimentary one-day pass to the Athletic Club for the day of their scheduled appointment. are available to help you plan your spa experience and to answer questions regarding our treatment services or options. 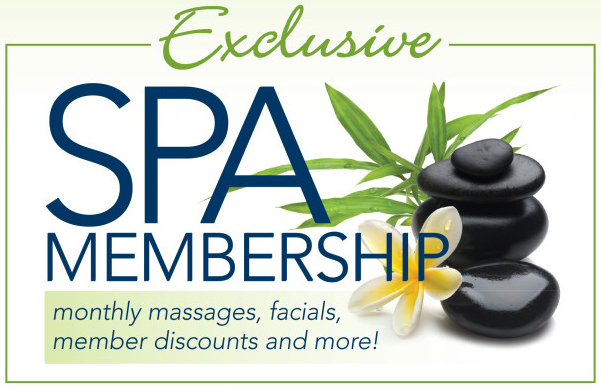 Our Spa Menu will change from time to time due to seasonal variations and promotions. All appointments must be made and/or held with a valid credit card. Snowcreek’s amenities include over 40 classes, steam rooms, whirlpools, swimming pools, a full size gymnasium, billiard and foosball tables, outside deck, lounging areas and The Bistro East Restaurant. Snowcreek and Double Eagle Spa retail areas offer unique apparel and gift selections. Snowcreek’s location is adjacent to beautiful meadows, walking and biking paths. Our professional Spa Therapy staff are certified and specifically trained to provide the services they perform. Not all therapists are certified to perform all services. We take great pride in the quality of services provided for our guests. may be cancelled or rescheduled up to 24 hours in advance of the scheduled appointment. Appointments not cancelled with the 24-hour cancellation period will be charged at 50% of the total scheduled appointment/s charges. Appointments not cancelled within 12 hours are subject to a charge of 100% of the scheduled appointment/s charges.